Hi! Here is the list of Top 10 4G Smartphones Under Rs 8,000 in India with Fingerprint scanner, 3GB RAM, 4G LTE, OTG, 13MP Camera & Octa Core processor. 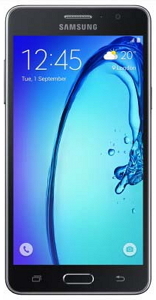 There are real good mobiles in this price range making your selection process daunting. And the competition is fierce in this price segment with the entry of popular brands like Xiaomi, Coolpad, Lenovo, Intex, YU & Motorola. To help you in buying the best smartphone under 8000 rupees, we have compiled out the list of top ten 4g smartphones under rs 8000 for february 2017 with great specs and very good user experience. Coolpad Note 5 Lite is the best among fingerprint sensor phones under Rs 8000/ with 3GB RAM in india. The smartphone houses 1GHz Mediatek Quad Core Processor, large high definition 5" IPS panel display, 13 MP camera and a good 2500mAh battery. And the best part is it has got 3GB RAM and dual sim with 4G LTE connectivity on both the sim. Overall Coolpad Note 5 Lite includes excellent features at budget price and offers good value for money. The mobile is available exclusively on Amazon and surpasses each one of the expectation of budget buyers. 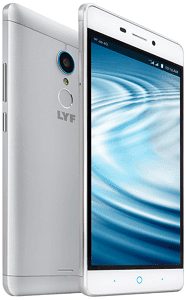 Lyf Water 7 is a good choice in fingerprint scanner phones under Rs 8000 range. 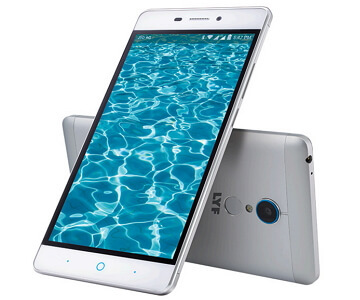 After recent price slash, Lyf Water 7 is retailing below Rs.8000/ and it's the right time to grab this excellent phone at the cheapest price. The phone has overall excellent specs with support for OTG, 4G VoLTE and Fingerprint Sensor. It packs powerful Snapdragon 616 Octa core Processor, 2GB RAM, 16GB of in-built memory, 5.5 inch Full HD display protected with AGC Dragontrail glass and 13MP Camera. Here's another one LYF mobile in our recommendations of Budget Smartphones with Fingerprint Sensor. It's really hard to believe we have included this amazing phone on a budget list. But Amazon is running offers and you can grab it at greater dicounted price. The phone has got premium like features including Fingerprint sensor, 3GB RAM, Octa-core Processor, 13MP Camera and 4G VoLTE for fast internet. And it is powered with MediaTek MT6753 Octa Core Processor clocked at 1.3GHz and Android Marshmallow OS. 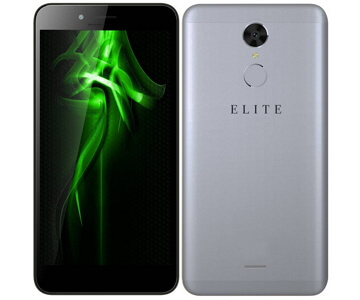 Elite Sense is the latest arrival from Swipe family and very good fingerprint scanner phone under 8k segment. The Smartphone comes with excellent features for such a cheaper phone. Together with Qualcomm Snapdragon Quad-core Processor and 3GB RAM it runs all latest games and apps buttery smooth. The finger print sensor is fast and accurate and other features like 32GB Storage, big IPS panel display, 4G VoLTE support are excellent. Only downside is it's average battery which lasts for a day but besides that you get great features, so it makes a good deal. Micromax Evok Power is another good alternative to consider under Rs 8000/ budget. The best part of the phone is the massive battery backup, 4G VoLTE support and Fingerprint sensor. It runs on Android Marshmallow 6.0 and packs 2GB RAM and Quad-core Processor under it's hood for lag-free performance. The compact 5 inch display is very good for single hand operation, comes protected with Gorilla Glass 3 and huge 4000 mAh battery. Latest arrival among Intex Cloud series, Cloud S9 is another good option in fingerprint scanner phones under Rs 8000 segment. Priced around 6k, the phone runs on Android Marshmallow 6.0 and powered with 2GB RAM & 64 bit Quad-core Processor clocked at 1.3 GHz. It's one of the cheapest fingerprint sensor phone with 4G VoLTE support and long lasting 3650 mAh battery. 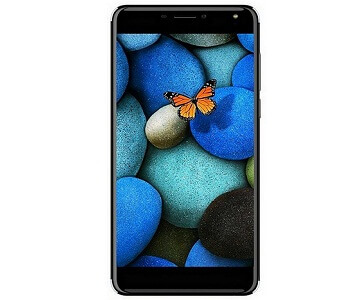 Besides it has got 5.5 inch HD screen protected with AGC Dragontrail glass and available in two different colors, Grey and Blue and exclusively on Amazon. 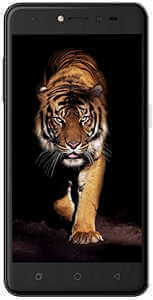 Xolo Era 2X is the latest arrival in the market and another good choice of Fingerprint Sensor Mobile under 8K to go with. The phone is Flipkart exclusive and sports superb features like Fingerprint scanner, 4G VoLTE and the best part is 3GB RAM. 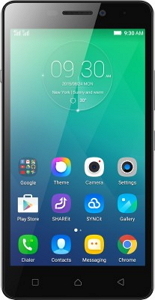 It runs on Android Marshmallow OS and powered with 64bit Quad-core Processor accompanied by 16GB storage. If you want to save some bucks on your budget then you can also go for 2GB RAM version which is equally good. 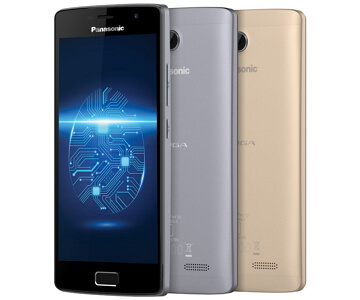 Another latest arrival, Panasonic Eluga Ray is an awesome fingerprint sensor mobile with outstanding battery life and stunning camera features. The Smartphone is a sure winner with huge 3GB RAM, 4000 mAh battery, ample storage, 13MP primary camera and 5MP front camera. The front camera comes with flash which is another big plus of the phone. 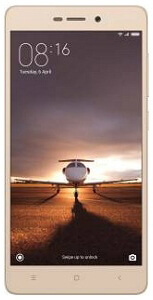 As for connectivity it offers 4G VoLTE and OTG support. Elite Power is the latest launch from Swipe and best suitable for people who wants marathon battery in their smartphone. The best part of this phone is it's massive 4000 mAh Battery, 4G VoLTE Connectivity and Fingerprint scanner. Rest other features are also equally good for 8k budget. It is fueled with Android v6.0 Marshmallow and powered by Snapdragon Quad-core Processor, 2GB RAM and a large 5.5 inch IPS Screen. 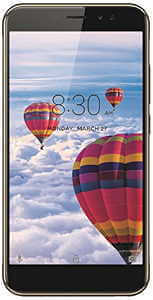 Panasonic Eluga Tapp is retailing under 6.5k and exclusively available on Flipkart. The phone packs pretty good features for the price like Fingerprint sensor, 4G VoLTE support and decent battery backup. It is powered by 1.25 GHz Quad-core Processor teamed up with 2GB RAM and runs on Android Marshmallow v6.0 OS. 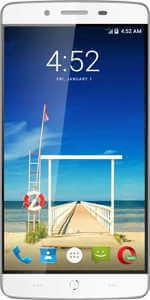 If you like big screen smartphones then you can go for Nubia N1 Lite. The Mobile features 5.5 inch IPS panel display with multi-touch ability. This makes the phone a good fit for internet browsing, gaming and watching movies. Powered with excellent Quad core Processor and 2GB RAM the handset is good at multi-tasking. Plus it offers Fingerprint sensor for security, very good 3000 mAh Battery and 4G VoLTE connectivity for fast internet. 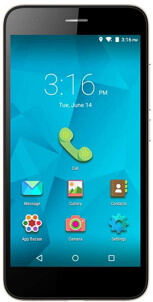 Coming from the reputed Indian brand Canvas Unite 4 Pro is the latest arrival under 8K segment. This is the Popular 2GB RAM Smartphone in this price range, and runs on Android Lollipop but the good thing is you get Marshmallow upgrade. The phone comes with all latest features such as Fingerprint Scanner, 4G LTE, 1.3 GHz Quad Core processor, 16 GB internal memory and of all a huge 3900 mAh battery for extended battery backup. Redmi 3S is the Popular Xiaomi Smartphone under Rs 8000/ and the USP of the phone is it's support for OTG, 4G LTE and long lasting 4100 mAh battery. 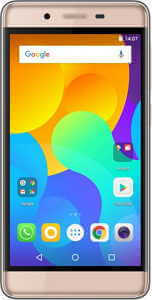 Another good thing is, it runs on latest Android Marshmallow OS and packs powerful 1.4 GHz+ Snapdragon Octa core Processor, 2GB RAM, 16 GB ROM and 13 MP Camera and many more attractive features. 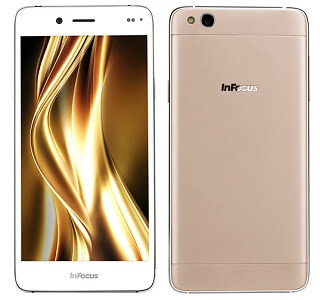 InFocus Bingo 50 Plus is the successor to the popular Bingo 50 and the best 3GB RAM 4G Smartphone below 8000 rs. For it's asking price, the phone offers so much of attractive specs such as 1.3 GHz Quad-core Processor, 3GB RAM, 5.5-inch HD Screen, Corning Gorilla Glass 3 protection, 13 MP Rear camera and most of all 8MP Front Camera. So for selfie lovers this phone is a great choice and but also quite good for normal phone users too. Lenovo Vibe P1m is a Best Battery Backup Smartphone under Rs 8000 with a huge 3900 mAh battery powering up the phone. The phone is powered by 1 GHz Quad Core Processor together with 2GB RAM and runs on Android Lollipop OS with beautiful VibeUI running on top. Besides it also supports 4G LTE for fast internet connectivity. There are other also good options available in Top 10 4G Smartphones under Rs 8000 and comes with great specs with lot of features such as 2GB RAM, Snapdragon Processor, 16 GB ROM, Gorilla Glass Protection and 4G support. 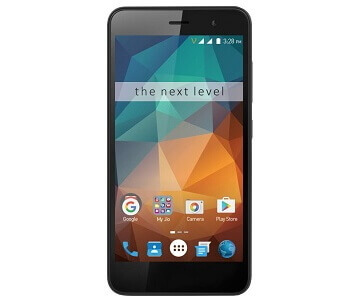 That makes our recommendations for top 10 best android phones under 8000 rupees in India. Thank you for posting this will enable us to buy whatever we want as per our requirements. And we can use it by comparison.